2 Storey House and Lot For Sale near Don Antonio Heights. Pre-Selling Townhouse For Sale in Near Don Antonio. Townhouse For Sale in Don Antonio Heights, Quezon City. 2 Car Carage Townhouse For Sale in Don Antonio Heights. 3 Storey Townhouse For Sale in Don Antonio Heights. 4-5 Car Garage House and Lot For Sale in Project 7. 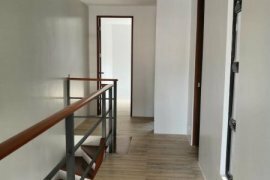 2 Car Garage House and Lot For Sale in Casa Milan. 2 Car Garage Townhouse For Sale in Kamias, Quezon City. Lot For Sale in Davao City Entrance gate with guardhouse. 2 Car Garage House and Lot with Pool For Sale in Casa Milan. 3 Car Garage Pre-owned House and Lot For Sale in Filinvest 2. 2 Car garage Brandnew House And Lot For Sale in Casa Milan. 4 Car Garage House and Lot For Sale in Casa Milan. 1 Car Garage Townhouse For Sale in Cubao, Quezon City. Lot For Sale in Trece Martires, Cavite. 3 Car Garage House and Lot For Sale in Filinvest 2. 4 Car garage House and Lot For Sale in Geneva Garden. 2 Car Garage Pre-owned House and Lot For Sale in Filinvest 2. 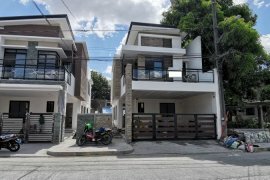 1 Car Garage Townhouse For Sale in Project 8 Quezon City. 2 Car Garage House and Lot in Mindanao Avenue.